– How to apply rules in Nintex forms for Office 365 SharePoint online? 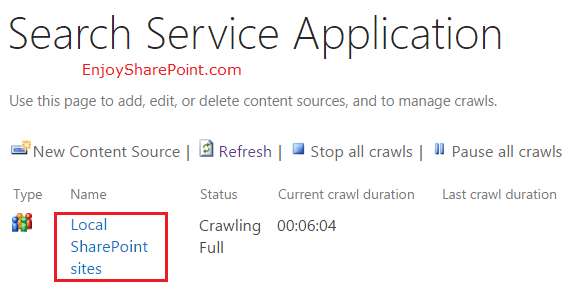 Open your SharePoint 2013 central administration, click on “Manage service applications” which is under Application Management. To add a new content source, click on New Content Source in the Manage Content Sources page. Then choose Crawl Schedules, choose to Enable incremental crawls and create a schedule for this crawl. Once you will add the content source, it will appear on the administration page. Next Article How to create site definition using Visual Studio 2013 in SharePoint 2013?